Q: Can one a single disc of ordinary black vinyl contain so much excitement? A: Yes, but only just. If you are of a certain age and remember those UK chart-topping house singles from the late 80's by acts like M|A|R|R|S, Coldcut and Bomb The Bass, then you will probably spot many vocal samples liberated from this recording. It only adds to the listening pleasure as far as I'm concerned. The score interspersing all the high drama comes, as always, from the late great Barry Gray. Not as good as the original(s)? 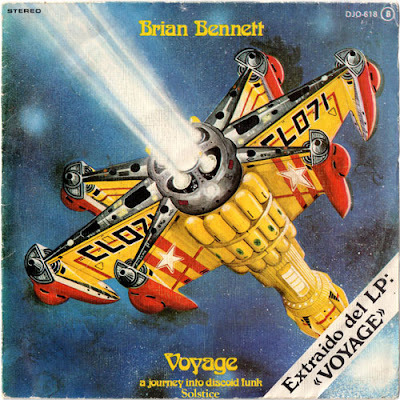 Brian Bennett - Voyage 7"
I vaguely remember reading an article one time (in the Idler maybe or the now long defunct Easy Magazine) about the joys of charity shop vinyl digging. It was there I learned the diggers golden rule that you should never pass over anything with a spaceship on the cover. I never have and I've rarely been disappointed with what I took home with me. 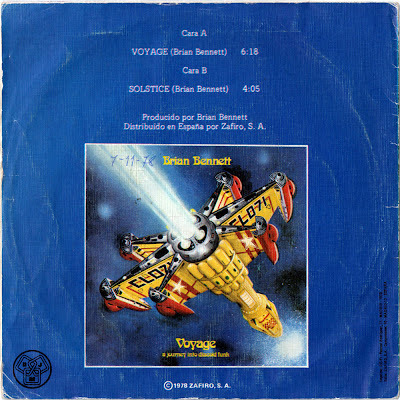 The album this particular 45 is taken from is the library music classic, Brian Bennett's - Fantasia (Bruton BRI 10), which is actually a re-package of the Voyage album proper with all the tracks given new titles. Well worth tracking down if you can find it. 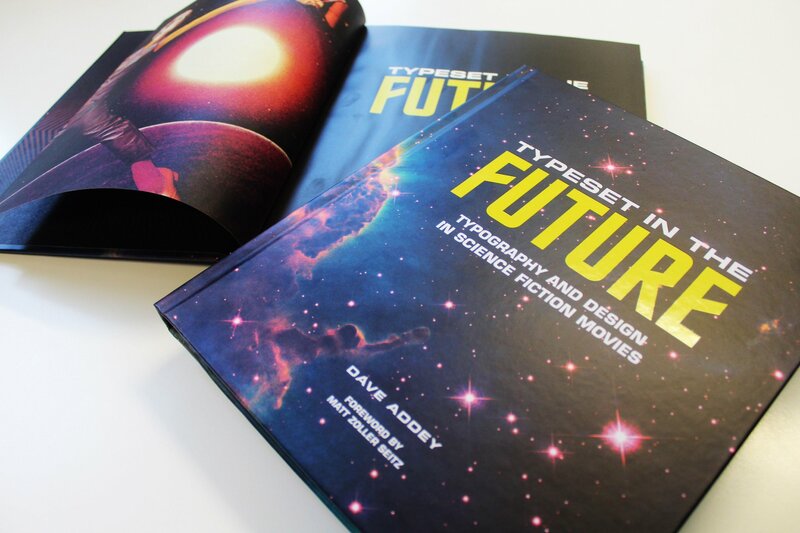 In the meantime why not go ahead and programme your Ro-Butler 3000 to mix you that second pan galactic gargle blaster, turn off the artificial gravity and enjoy this exciting, luxurious, if brief trip into discoid funk. You've earned it space cadet. A mix CD I cobbled together back in 2003. 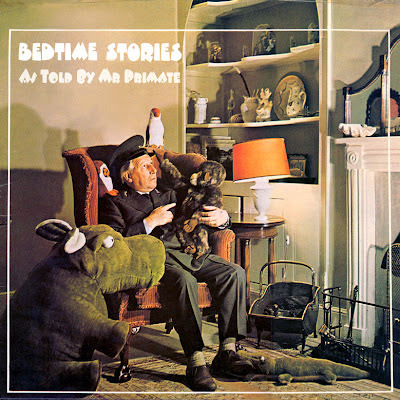 It's purpose: to give you a light snack, bathe you, put you to bed whilst calming voices from the BBC Records and Tapes back catalogue read you a psychedelic bedtime story as you drift gently beyond the wall of sleep. Do not listen whilst operating heavy machinery. May cause drowsiness. Three months in and this year is baring witness to a large and ever growing list of excellent new electronical/hauntological/psychedelical releases, not to mention a handful of welcome radiophonic collections*. Soon Record Store Day will be upon us here in Blighty. 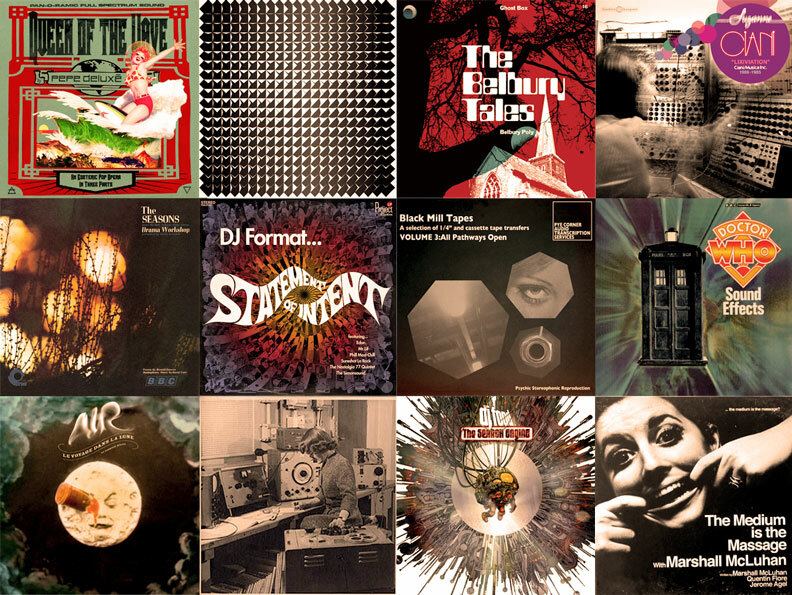 Aural treats this year include very limited re-issues for Radiophonic Workshop Dr Who: Sound Effects, and Out Of This World on 180g vinyl. 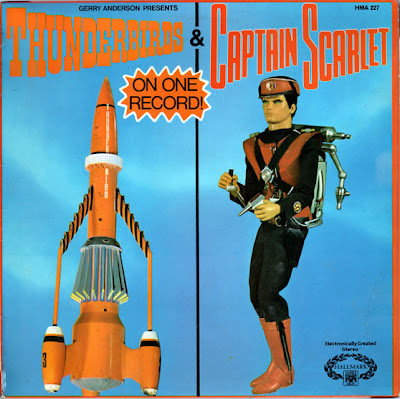 There's also a groovy soundtrack 45 from the 1960's Dalek films in the style of the old Century 21 EP's. Which leads me on to Vintage Beeb. At long last Auntie has seen the light and begun cleaning up and re-issuing some of the BBC Records And Tapes back catalogue. Amongst the first to be re-released back in February was indeed the aforementioned Dr Who: Sound Effects. 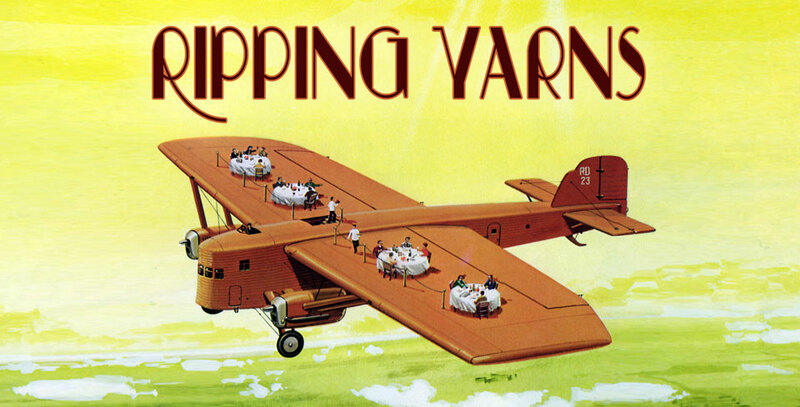 From the beginning I always intended that Ripping Yarns would stick strictly to only sharing rare, deleted and unreleased material. Vintage Beeb has meant that I won't now be sharing as quite much of that old BBC vinyl as I had originally planned. It also means that I've deleted the Dr Who: Sound Effects vinyl rip. When you can easily purchase a brand new, restored and well packaged hard copy for under a fiver, it's hardly seems worth treading on any toes. However, worry ye not listeners, there is always plenty more to share out there.